The Rivergate shopping centre was officially opened in 1975, construction having started several years before hand. The decision to demolish to the towns bridge and make the streets pedestrians only, garnered a few protests, but was given the go ahead anyway. The town centre was completely changed, with all of the buildings at Bridgegate being demolished as were the buildings on the opposite side of the river. 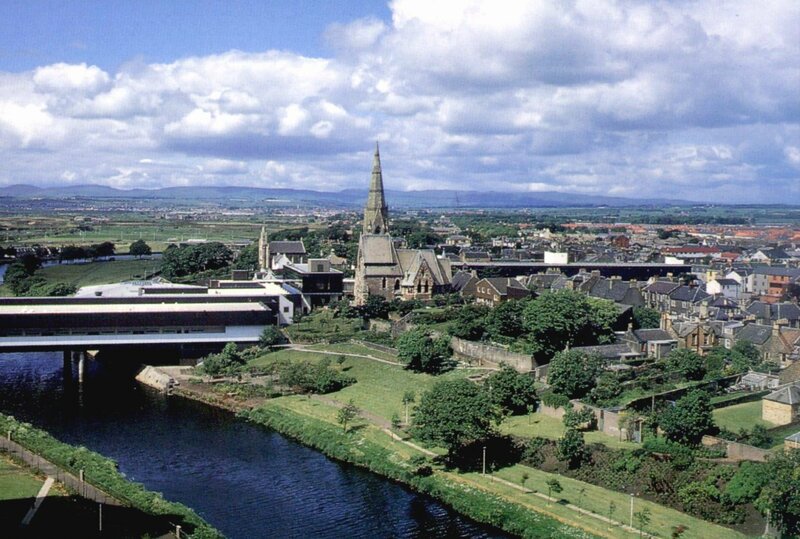 To accommodate for the lack of a main road across the river a new bridge was built called the northern approach road or ‘Marress’ bridge, this photograph was taken from the top of Irvine’s high rise flats.